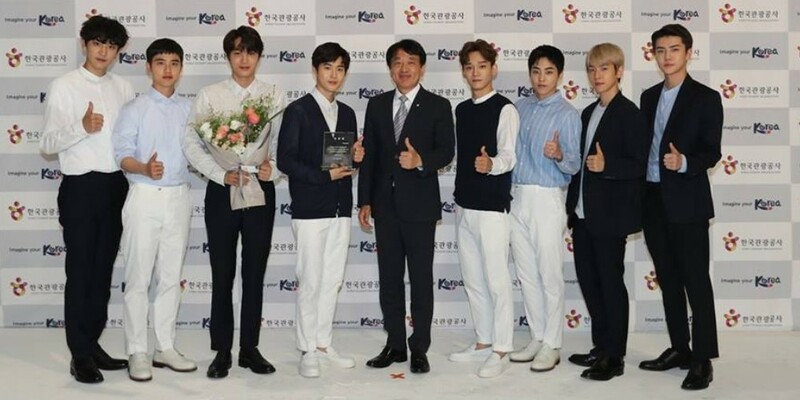 EXO is the official ambassador for the Korea Tourism Organization. On June 24, the KTO announced that the boy group will be representing the organization from now on. EXO will be promoting tourism to Korea with the concept slogan "Have you done this in Korea?" Each member of EXO will explain the different activities that tourists can enjoy in Korea. The tour videos with the EXO members will be released via YouTube, Facebook, and more in August.